Elegant in its simplicity, Tim’s Workload Monitoring research has provided our staff with foundational, ubiquitous, highly-applicable physical preparation concepts that permeate every level of our organization. His acute:chronic model delivers a common language for all stakeholders concerned with player health – sport coaches, clinicians, front office representatives, etc. And, most importantly, Tim avoids esoteric theory by offering concrete strategies for immediate implementation into any sporting environment. Tim is a captivating, personable speaker, and his ‘Optimizing Athlete Performance’ workshop is the perfect venue to receive a synopsis of his valuable work. It’s one of the best investments our staff has made. 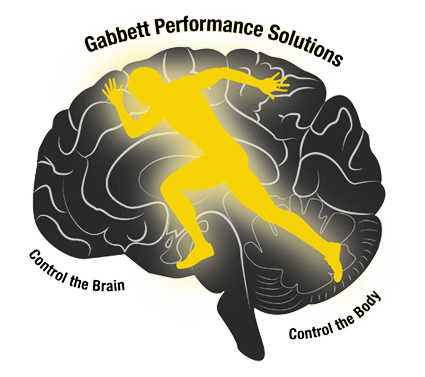 I had the pleasure of meeting Tim Gabbett at his presentation to the New York Football Giants on monitoring training loads for injury prevention and performance. Much like his data, Tim was well prepared and organized in his presentation. He conveyed his message in a clear and concise format. We gained valuable insight on many performance variables including the training-performance relationship, external loads vs. internal response, training loads and injury, and pre-season to in-season loads. What was particularly interesting to us was his research on acute to chronic loads and its effect on training. We were able to use his ratios as a guide to help us determine injury risk during the season providing another ‘piece of the puzzle’ in reducing injury risk. Following the presentation, I had the opportunity to collaborate with Tim on an editorial he had written titled “If overuse injury is a ‘training load error’ should undertraining be viewed as ‘criminal’?” Again, his knowledge and expertise in this area was outstanding, and it was a real pleasure to work with him and share ideas. I have found that Tim is passionate about his work, and will continue to advance his field for the betterment of all athletes and sports performance professionals. A smart coach once said a player’s availability is their best ability. Thus, proper training is the best method and should always be the foundation of injury prevention for every performance staff and team. Too often we spend so much time chasing injuries that have occurred by not having the proper data and process to educate coaches and drive change in workload management. Through working we Tim, we were able to develop and refine our workload management process ensuring we have effective and efficient data and data analysis plans to drive change, effecting the health of our team, which has a strong correlation to reaching the ceiling for on-field success. Best of all his information is research validated in an applied sports environment allowing us to bring academic quality information to the team performance environment effectively. I have sourced the services of Tim for a number of years now in the area of research. Firstly during my years at Melbourne Storm (NRL) we conducted a study on workrate demands of different positions in rugby league, this information assisted me in prescribing loads for pre-season that were position and match specific. I have continued seeking assistance from Tim now at St Kilda FC (AFL) for research ideas. Tim is up to date with the latest research and is an excellent sounding board when thinking of ideas to improve performance. I have known Tim for several years and have used his expertise on a consultancy basis during that time. He has researched and published many interesting and relevant papers on rugby league over a long period of time. Tim has developed an acute awareness of the physical and mental demands of playing rugby league at an elite level. His understanding of the game has meant that his studies are relevant and his findings insightful regarding the preparation for and recovery from the demands of rugby league. Tim has always displayed an enthusiastic and thorough approach to any project I have been involved with and I would recommend him highly to any organisation seeking to improve performances on an individual or team basis. The Worcester Warriors employed Tim Gabbett to share his insights into training for the demands of rugby and developing and maintaining a winning culture. Tim understands sport and the information coaches need to know. Tim left our coaches feeling motivated and reassured that they were on the right track. Tim provided an excellent session for the staff at our training ground. His knowledge of the area backed up with good science and lots of experience made for a thought provoking discussion. His acute understanding of the environment ensured that the presentations and ensuing discussions were relevant and productive. The whole session proved extremely worthwhile. Tim was asked by myself to present a workshop on ‘workloads and Injury’ to our staff at BWFC. Tim’s knowledge and experience inspired and provoked good debate from our Performance staff leading to a stimulating session. Tim offered practical solutions to key problem areas and gave us a different approach to think about on the areas of recovery and fatigue as possible indicators for soft tissue injury. He mixed sound and robust data with strategies to adopt in the ‘real world’ of elite sport. I would recommend Tim and his workshops to any sports teams and their support staff to enhance their working practices. Tim’s workshops was well received from all staff involved in the medical, sports science and training delivery throughout the club. The content provided a succinct overview of the research surrounding workload and injury risk in team sports with some pertinent take home messages. The ability to discuss at length our own operations enabled an informal review of processes to be undertaken with insights towards the key steps required to move forward in this area to be made. It was a worthwhile event, succeeding in bringing various departments together with the overall aim of enhancing the risk management of players. Tim’s workshop to the England Cricket performance team was excellent. His take home message was practical and thought provoking, but well supported by top-class applied data. He also really worked hard to tailor the content to our needs, working with us in advance of the day. All in all, an excellent value day for us.